One of a beautiful pair of solid oak amberg filing cabinets. 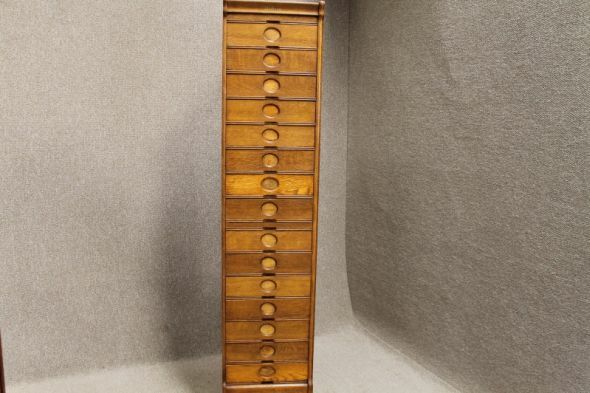 Featuring a multitude of drawers and a central pull out work slide. The cabinets date from 1909, and are in beautiful condition. We believe that they may have been part of a larger piece at some stage of their life. The cabinets are in excellent condition, and are extremely useful pieces of classic office furniture. Please note that this listing is for one cabinet. The matching cabinet is listed separately.